Maseru is the capital and largest city of Lesotho. It is also the capital of the Maseru District. Located on the Caledon River, Maseru lies directly on the Lesotho-South Africa border. 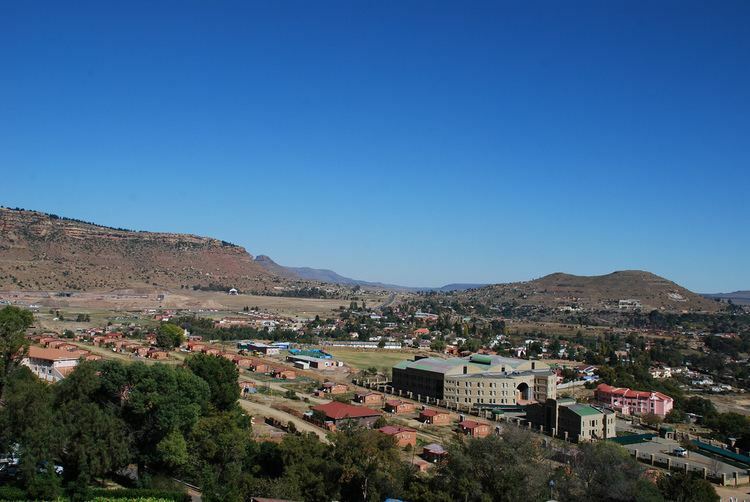 Maseru is Lesotho's capital city with a population of approximately 253,000. The city was established as a police camp and assigned as the capital after the country became a British protectorate in 1869. When the country achieved independence in 1966, Maseru retained its status as capital. The name of the city is a Sesotho word meaning "red sandstones". 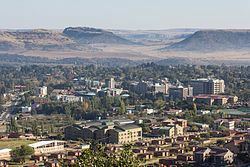 Maseru was founded by the British as a small police camp in 1869, following the conclusion of the Free State–Basotho Wars when Basutoland became a British protectorate. Maseru is located at the edge of the "conquered territories" relinquished to the Orange Free State (now the Free State province of South Africa) as part of the peace terms. It was located 24 kilometres (15 mi) west of Basotho King Moshoeshoe I's stronghold of Thaba Bosiu, the previous de facto capital. A bustling market town soon grew around the area. Maseru initially functioned as the state's administrative capital between 1869 and 1871, before administration of Basutoland was transferred to the Cape Colony. During their rule between 1871 and 1884, Basutoland was treated similarly to territories that had been forcefully annexed, much to the chagrin of the Basotho. This led to the Gun War in 1881 and the burning of many buildings in Maseru. In 1884, Basutoland was restored its status as a Crown colony, and Maseru was again made capital. When Basutoland gained its independence and became the Kingdom of Lesotho in 1966, Maseru remained the country's capital. 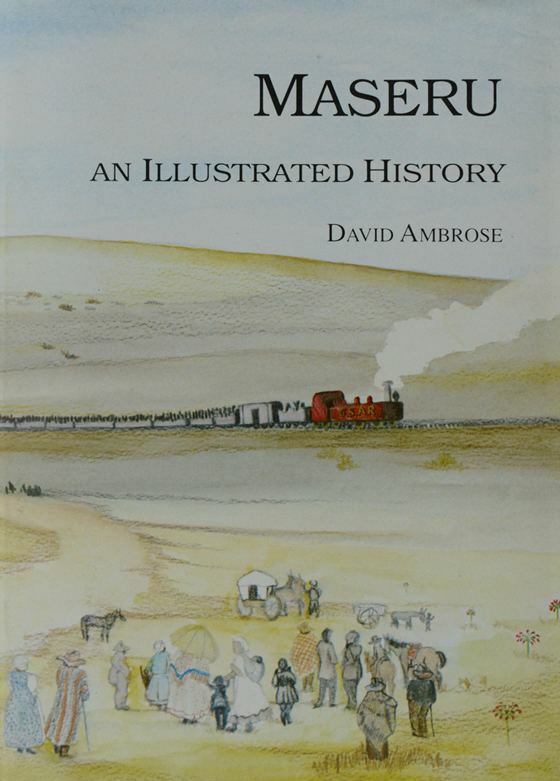 Prior to Lesotho's independence, Maseru had remained relatively small; it was contained within well-defined colonial boundaries and had little room for growth, while the British had little interest in developing the city. After 1966 Maseru experienced rapid expansion: its area increased around sevenfold, from around 20 square kilometres (7.7 sq mi) to the current area of 138 square kilometres (53 sq mi), due to incorporation of nearby peri-urban villages to the city proper. The annual population growth rates remained around 7% for several decades, before tapering off to around 3.5% between 1986 and 1996. After the 1998 parliamentary elections in Lesotho led to suspicions of vote fraud and a military intervention by South Africa, much of the city was damaged by riots and pillaging. The cost of repairing the damage done to the city was estimated at around two billion rand (US$350 million), and until almost 2008, the effects of the riots could still be seen within the city. Maseru is located in northwest Lesotho by the South African border, denoted by the Mohokare River. The two countries are connected by a border post at the Maseru Bridge, which crosses the river. 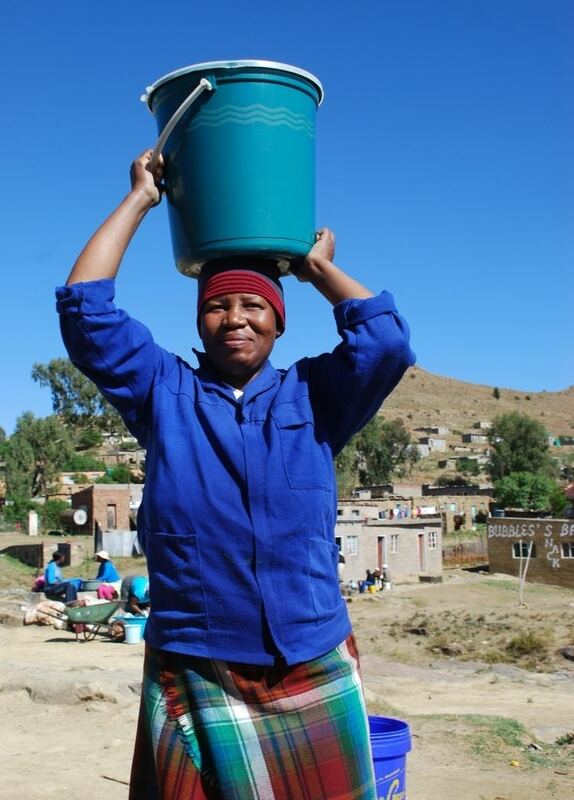 On the South African side, Ladybrand is the town closest to Maseru. The city lies in a shallow valley at the foot of the Hlabeng-Sa-Likhama, foothills of the Maloti Mountains. The elevation of the city is listed as 1,600 metres (5,200 ft) above sea level. The city has an area of around 138 square kilometres (53 sq mi). Maseru has a subtropical highland climate (Cwb, according to the Köppen climate classification), categorised by warm, rainy summers and cool to chilly, dry winters. The average mean daily temperature during summer — from December to March in the Southern Hemisphere — is 22 °C (72 °F). During winter, between June and September, the average temperature is 9 °C (48 °F). The hottest month is January, with temperatures between 15 and 33 °C (59 and 91 °F). During the coldest month, July, the temperatures range from −3 to 17 °C (27 to 63 °F). The average rainfall ranges from 3 mm in July to 111 mm (4.4 inches) in January. The latest (2006) census lists the city's population at 227,880, or around a tenth of the entire population of the country, and half of the total urban population. This includes 103,520 males and 124,360 females, or around 100 women for every 83 men. The population of the city was at 28,000 by the 1966 census, and 110,000 by the 1986 census, demonstrating the early rapid expansion of the city after independence. A railway line, built in 1905, bridges the Mohokare River to connect Maseru with Marseilles on South Africa's Bloemfontein–Bethlehem main line. An international airport called the Moshoeshoe I International Airport is nearby, at Thoteng-ea-Moli, Mazenod. The National University of Lesotho is located in Roma, 32 kilometres (20 mi) from Maseru. The commerce in the city is centered on two neighboring central business districts, which have developed around Kingsway and serve as major employment centres. The western business district holds larger office buildings, department stores and several banks. The eastern business district hosts mainly smaller businesses, markets and street vendors. The central business districts are the largest employment centers within the city. Maseru's industry is split into two main areas. The one to the north of the central business districts along Moshoeshoe Road holds flour mills and other major companies. The other industrial sector lies to the south of the central business districts, at the Thetsane district, and houses mainly textile and footwear companies. Up until 2004 Maseru had a growing textile industry supported by and invested in by Chinese manufacturing concerns. Since the expiration of the Multi Fibre Arrangement the textile industry in Lesotho has diminished. The city's products once included candles, carpets and mohair products but these have been overshadowed by South African industries. Buildings destroyed in the 1998 political uprising have been rebuilt and have shops like Fruits and Veg City, Woolworths and Mr Price to name a few. The New Lehakoe National sports center, which is in between the central Bank of Lesotho and the colonial parliament building is equipped with tennis courts, swimming pools, conference centers, bars and gymnasiums. In November 2009 Pioneer Mall opened, providing Maseru with a South African style shopping mall, with many stores, a four-screen cinema and restaurants. Further such malls are under construction in Maseru. There are some colonial era buildings around the center of the city, most notably the Cathedral of Our Lady of Victories of the Roman Catholic Archdiocese of Maseru, and the Anglican St. John's Church. Other sights include the Royal Palace, the Parliament building and the State House. Maseru has a total of six hotels, two of which, the Lesotho Sun and the Maseru Sun, have casinos. During the 1960s, prior to the relaxation of South Africa's gambling laws, the casinos were popular attractions among South African visitors, but the interest in them has since waned. The Basotho Hat shop at the city's entrance is a popular source for souvenirs. Lesotho's national stadium, the multi-purpose Setsoto Stadium, is located in Maseru. It has a capacity of between 20,000 and 25,000 people. The stadium is mostly used for football matches and houses the Lesotho national football team, but also holds events in athletics. List of sister cities of Maseru, designated by Sister Cities International.